Thanks to Darrell Cobner, I have another discovery to share. 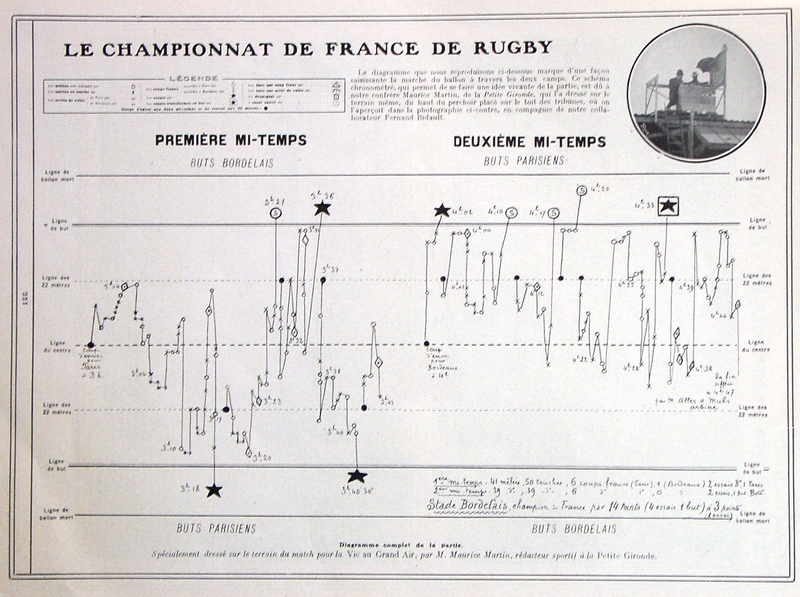 In 2010, Frederic shared the story of Maurice Martin and Fernand Bidault’s visit to Bordeaux on 24 March 1907 to record the French Rugby Union Championship final. Their hand notation records “la marche du ballon a travers les deux camps”. This record of their notation includes a photograph of their observation point on the top of the grandstand at the Stade Sainte-Germaine at Le Bouscat. There were 12,000 spectators at the game so the vantage point would have been particularly helpful in their comprehensive “schema chronometre”. The notation is recorded with the time of day: kick off 3pm, end of first half 3.43 pm; second half starts 4pm and ends at 4.47pm. The home team, SBUC, won the game by 14 points to 3 (4 tries to 1). It was 6 points to 3 at half time (2 tries to 1). The SBUC tries were scored by Maurice Leuvielle, Jacques Dufourcq, Marc Giacardy, and Pascal Laporte. Henri Martin converted one of these tries. The Stade Francais try was scored by Charles Vareilles. I was fascinated to discover this notation. Eighty-four years later, I was perched in the top of the old Cardiff Arms Park using hand notation to record the flow of an international game. I did have the advantage of a stopwatch and a roof on a rainy day. It has been a delightful day here today. I have found myself thinking about and discussing analytics for much of the day. I was fortunate to have lunch with two of my PhD students, Dr. Dennis Bryant and Dr. Ron Smith. Each Wednesday we have an unmeeting at the Mizzuna Cafe at the University of Canberra. Ron is a regular, this was Dennis’s first unmeeting with us. Chris Barnes and Mark Gawler were with us too. Today’s unmeeting discussed Dennis’s research into students’ failing learning journeys which merged with Ron’s research about winning performance in football. The combination of failing and succeeding led to an extended conversation about pedagogy. My interest in the conference was twofold: I was keen to learn more about participants thoughts on educational technologies; and to follow conversations about Learning Analytics stimulated by the one day workshop organised by the Australian Learning Analytics Summer Institute. At some point I would like to explore the connections between the burgeoning field of learning analytics, performance analysis in sport and sport analytics. There is so much to share. The day was wrapped by following up on a link recommended by Darrell Cobner. He suggested that I look at Nick Clarke’s post Analytics is not just about patterns in big data. Nick’s post led me to a second post written by him earlier in the year. It has the delightful title Hyenas, lions and city lights – accurately measuring behaviour is rarely straightforward. Limited seeing leads to unreliable believing, an important lesson for our data-driven future. 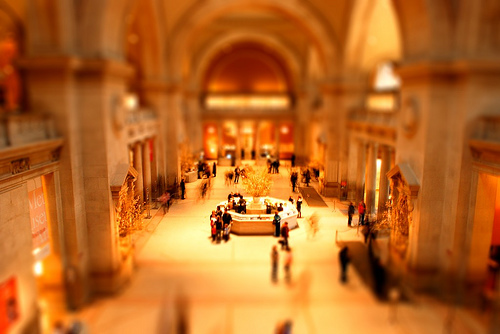 The secret is to collect enough of the big picture alongside your targeted measurements, to establish the full context. When I built a data-driven condition monitoring system to combat poor train reliability, it wasn’t enough just to measure data feeds from the suspect components. It needed additional feeds to establish the different operating states of the train, such as accelerating, braking, or coasting, as well as its location on the network. Only then could I have a broad enough picture of the real environment of my subject. … and to do so with such a delightfully crafted narrative. I spent part of yesterday listening to Richard Tognetti. Richard appeared on Radio National’s Music Show here in Australia. He was discussing nerves, fear and fallibility in music performance. I liked the idea that we can give in to little mistakes, trust in what we have learned … and in Richard’s terms be “match brave”. I thought it was an excellent insight into the dynamics of public performance. 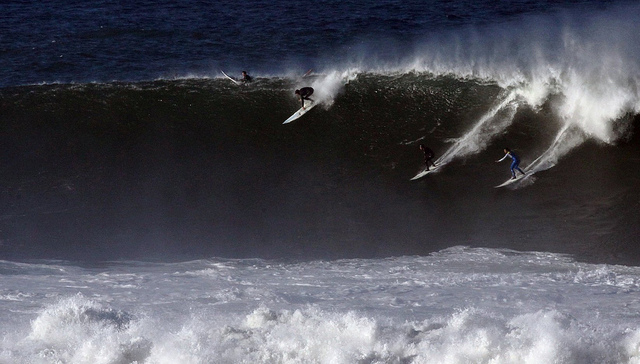 I enjoyed the comparison of big wave surfing and conducting Ravel for the first time. Two alerts this morning extended my thinking about public performance. The first was about a Mark Upton post on Medium. I have had the good fortune to know Mark for some time. I am fascinated by his polymath understanding of performance and particularly enjoy his thinking out loud approach to sharing. Today’s post was titled The Value of “Working Out Loud” and subtitled My Journey Understanding Practice Design and Learning. The post was based around some ideas Mark shared six years ago. Working out loud in a public forum requires a unique form of courage – to embrace vulnerability and humility. These characteristics may underpin “expert learning” (?) 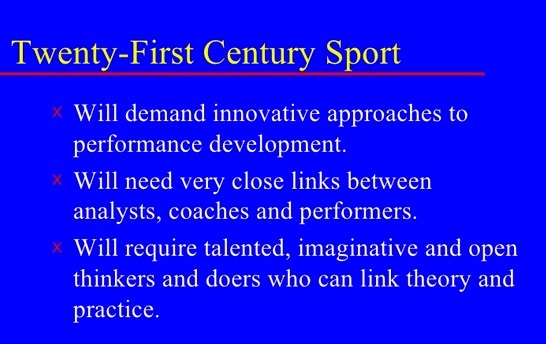 and having people of this ilk in coaching and support roles seems vital in helping players and athletes be their best. I agree in all respects. 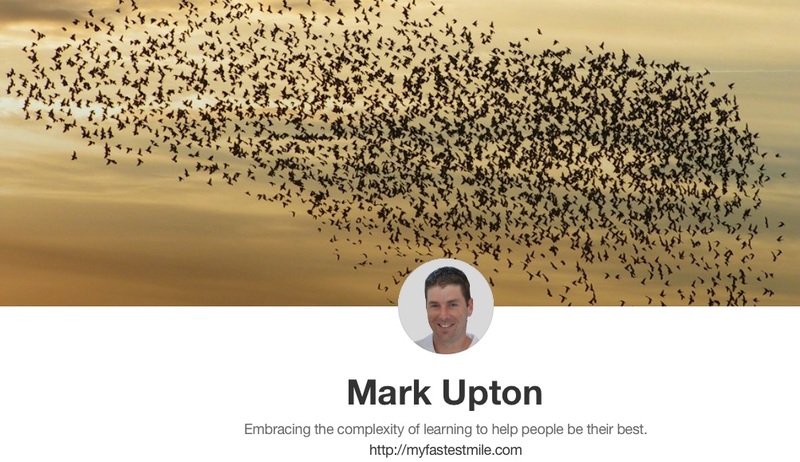 Posts written by Mark help all of us reflect on our practice. I see this willingness to share through blogging as a vital contribution to rethinking learning. Darrell Cobner added to my reading this morning. He is a great companion to Mark in my thinking about performance. He is an assiduous connector and most days his recommendations take me off on a journey of discovery. This morning he linked Mark and me with Sheila MacNeill. It did take me a while to find my blogging voice, but I am so glad that I did because my blog has become a central part of my working practice. More importantly for me it is actually my professional memory/portfolio. If something significant happens I will blog about it. Blogging is a bit of a habit for me, and as any writer knows, getting into and staying in the habit of writing is crucial. One of the reasons I blog is that it allows me to write in a very informal, non academic way. I am the first to admit that my blog lacks academic rigor. That’s one of the main reasons I keep it going. It is a really comfortable place for me to start to play around with ideas, and to tell my stories. I had in mind an approach that sought integration and that used insights from writers such as Elliot Eisner and Donal Polkinhorne. Connoisseurship is something that needs to be worked at – but it is not a technical exercise. The bringing together of the different elements into a whole involves artistry. It involves the willingness to have a public voice. I see blogging as a vital part of this voice. I explored some of the issues about blogging in this 2012 post. My morning ended as it had started with music. The Conversation published a delightful piece by Frederic Kiernan on Arvo Pärt. Pärt created music with an eerie, mystical stillness. His compositional method “tintinnabuli”, an original invention, was so named for the bell-like quality of its resulting triadic harmonies. These are the kind of journeys thinking out loud and sharing make possible for me. Thinking out loud, without any obligation for anyone to read or listen to my thoughts, is liberating. Like Mark, Darrell and Sheila, I do think “We need to be our own digital storytellers”. see the Web as a place, perhaps like a park or a building in which there are clusters of friends and colleagues whom they can approach and with whom they can share information about their life and work. A proportion of their lives is actually lived out online where the distinction between online and off–line is increasingly blurred. Residents are happy to go online simply to spend time with others and they are likely to consider that they ‘belong’ to a community which is located in the virtual…To Residents, the Web is a place to express opinions, a place in which relationships can be formed and extended. Much of my time (everywhen) is spent in the blurred space “between online and off–line”. I am delighted that I am joined by Richard, Mark, Darrell, Sheila and Arvo in this blurring.